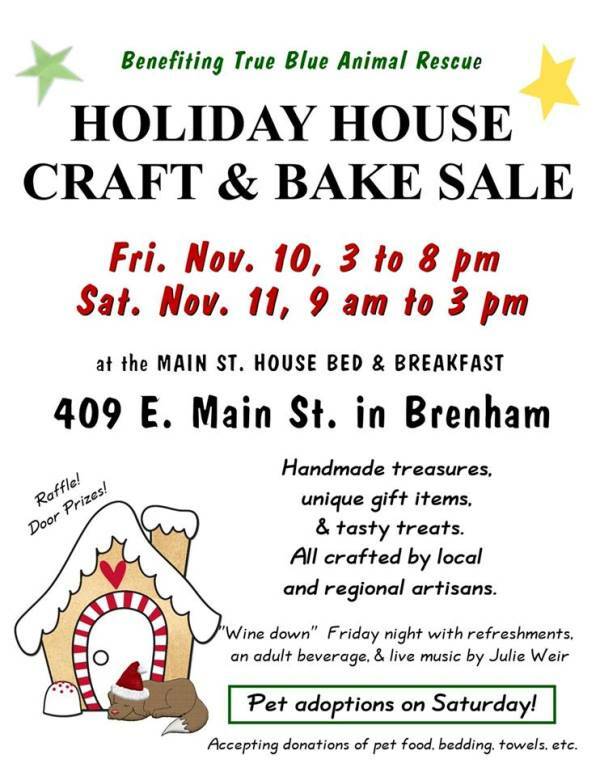 We will be holding pet adoptions at the Holiday House Craft & Bake Sale on Saturday November 11 (9am to 3pm). All crafted by local and regional artisans. We’re accepting donations of pet food, bedding, towels, etc. TBAR operates solely on donations and grants. Your generous donation goes directly to the vet care, rehabilitation, and feeding of our rescued animals. Thank you for helping us to save more lives!